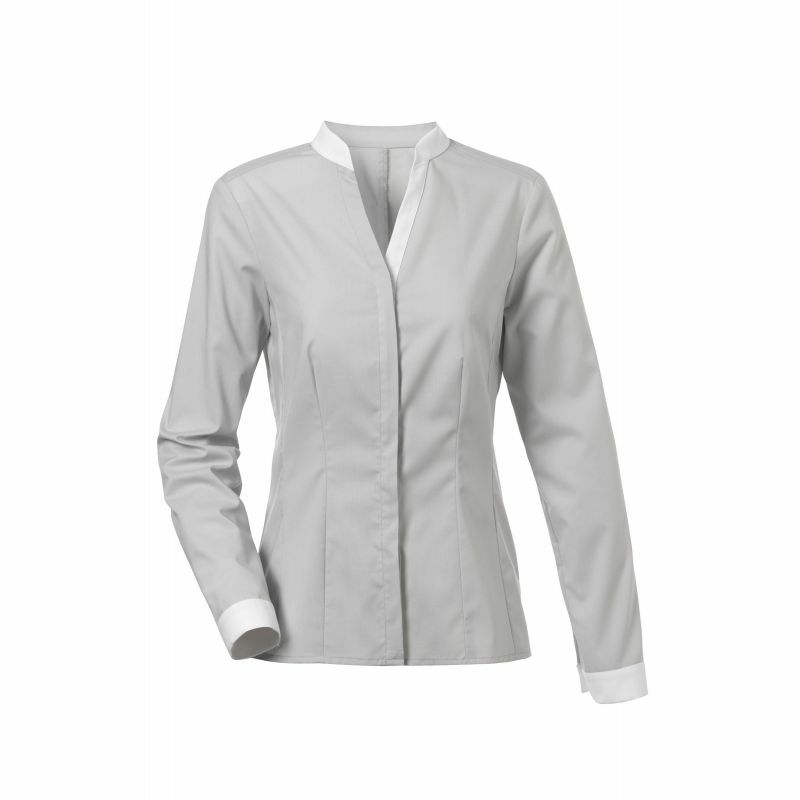 Blouse with white on collar and cuffs. Long sleeves. Placket with buttons. Princessseaming on front and back.